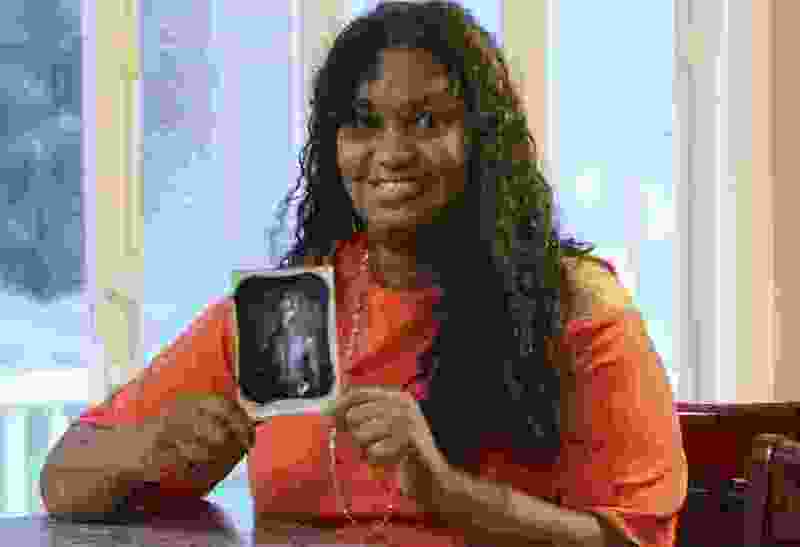 (John Shishmanian/The Norwich Bulletin via AP) In this July 17, 2018, photo, Tamara Lanier holds an 1850 photograph of Renty, a South Carolina slave who Lanier said is her family's patriarch, at her home in Norwich, Conn. The portrait was commissioned by Harvard biologist Louis Agassiz, whose ideas were used to support the enslavement of Africans in the United States. Lanier filed a lawsuit on Wednesday, March 20, 2019 in Massachusetts state court, demanding that Harvard turn over the photo and pay damages. Boston • Harvard University has “shamelessly” turned a profit from photos of two 19th-century slaves while ignoring requests to turn the photos over to the slaves’ descendants, according to a lawsuit filed Wednesday.